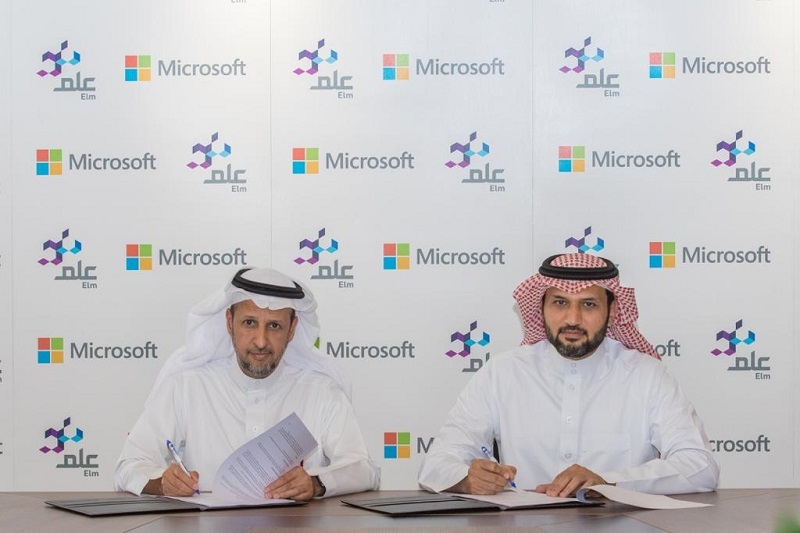 The leading provider of digital solutions, signed a memorandum of understanding (MOU) with Microsoft Arabia in its headquarters in Riyadh. The agreement was signed by the CEO of Elm, Dr. Abdulrahman bin Saad Al-Jadhai, and the president of Microsoft Arabia, Thamer bin Mohammed Al-Harbi. The agreement aims to encourage technical capabilities in order to meet the needs of strategic customers, which will promote developing areas of digital transformation, data science, technical analysis, machine learning, artificial intelligence, business intelligence, and big data. Within the framework of this agreement, Microsoft will be providing the latest digital solutions that help organizations reduce waiting times, provide 24 hours of service and reduce operating costs. Also, it aims to improve organizations’ business in data-centered projects and then transform these data into digital models and products. The spokesperson and Vice President of Marketing at Elm, Majid bin Saad Al-Arifi, stressed the importance of this strategic partnership which will contribute to developing employees’ skills in the latest technological trends, and help them achieve self-sufficiency while establishing a long-term business relationship between the two sides, adding that this agreement comes in line with Elm interests to expand internationally through focusing on the latest technologies that meets the needs of our current and future customers. Also, such agreements open up a wide range of opportunities for both partners. Moreover, Al-Arifi added that this partnership comes as a realization to Elm strategy in building partnership with leading digital companies to ensure delivering the best service to the customer and providing integrated digital systems that promotes digital transformation, a goal that comes in line with Vision 2030. For his part, the president of Microsoft Arabia, Thamer bin Mohammed Al-Harbi, stressed that Microsoft is looking forward to developing strategies through which it can provide the necessary support to the Kingdom entities and in line with the Kingdom vision, pointing to Microsoft efforts in building such partnerships. "Al-Harbi added," Through our partnership with Elm, we will work to achieve Elm goals of empowering youth and society with the knowledge".